The Adirondack Landowners Association is a group of private landowners, who collectively own over 200,000 acres of land in the Adirondack Park. Our membership, which totals over 5000 individuals, is made up of clubs, family groups and private preserves, some with ownership dating back to the mid 1800’s. We are significant employers, taxpayers, and contributors to the economic and environmental health of the Adirondack Park. The ALA has been a leader in the prevention of the spread of invasive species through education and advocacy. It was founded in 1990 to encourage continued stewardship and sound resource management of the land; to promote public awareness of the valuable role played by private landowners in the Park; to advocate laws, regulations and governmental policies that promote and facilitate good stewardship by private landowners and recognize and preserve their rights in the land. Pay nearly 3.4 million dollars in annual property taxes. Employ over 400 full and part time employees ($6 million dollars in annual payroll). Contribute significantly to the Adirondack economy every year with timber harvest programs. Our members have over 135,000 acres in active Forest Management and many are FSC and/or SFI certified for "green" harvesting and management practices. Purchase over $5,000,000 in goods and services annually in the Adirondacks. Work to promote sound conservation and stewardship practices on their properties, and to help educate the general public on ways to prevent the spread of invasive species. These efforts have great environmental and financial value to Adirondack landowners and to all of the residents of New York State. Contribute significantly to scientific and environmental research that has benefited all New Yorkers...work related to acid rain, invasive species, wildlife management and scientific forestry are just a few of the important issues our members are involved in. Participate in a wide variety of organizations that work to support wise resource management and sound environmental conservation. Additionally, many of our members work closely with state and local officials to help promote better communication among the various stakeholder groups in the Adirondacks. Their participation in workshops, discussion groups and various not-for-profit advocacy organizations, highlights the contribution and concern ALA members have for the economic and environmental health of the Adirondacks. Private Lands in a Park: Historical Accident, a Mistake, or an Asset? If one were to ask what is a park? You might get an answer something like: “It is an area of public land set aside for recreation, or for its scenic beauty, or to protect a natural or historic thing of special interest.” This would cover everything from Yellowstone National Park, to the local playground. But, what about this exception, the Adirondack Park? One could argue that NYS simply didn’t finish the job when they drew a blue line around this area in hopes of retaining the existing Forest Preserve and adding the remaining private land to it. So perhaps the Park that we have today is not the one originally intended by at least some of the early advocates for the creation of an Adirondack Park, therefore, a historical accident….but, was it a mistake? Today, about 50 percent of the land in the Park is privately owned, making this Park unique amongst parks in the United States. And whether a historical accident or not, I would make the case that these lands are a distinct asset to the Adirondack Park, and if a mistake, a fortunate one indeed. The private lands are quite diverse in ownership and purpose, ranging from small to not so small individually owned tracts…some are family estates, some clubs, some devoted to education and research, and much of the rest is owned by timber management companies. But, while these lands are privately owned they also serve a public purpose. For example, some of the wildest places in the Park where the biodiversity is the richest are on private lands. Because of their intact ecosystems, these lands are well suited for research. 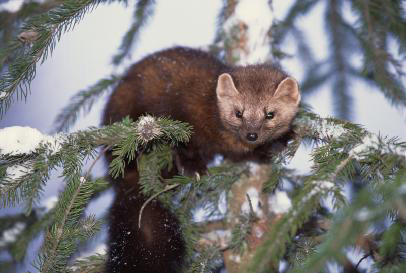 Many of the studies on fish, loon, marten, and spruce grouse have been done on private land where access is relatively easy, but the research can be controlled and intrusion on research protocols minimized. Perhaps best known is the fisheries research done by Cornell university scientists on the lakes and streams of the Adirondack League Club. This collaboration has resulted in protocols to control species that prey on brook trout, recommendations on logging to protect cold water tributaries, and the hybridization of Temiscamie strain from Quebec with domestic brook trout resulting in the stocking favorite for public waters. 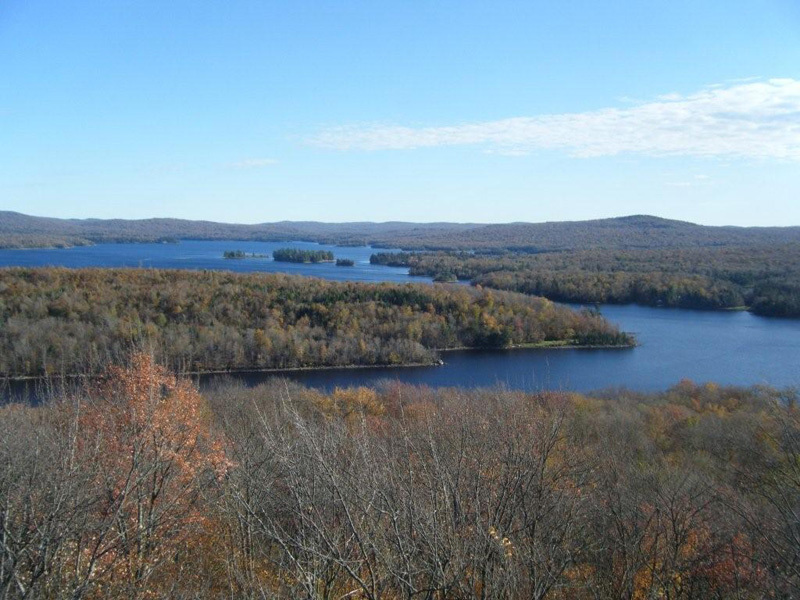 In addition to the collaboration between private land owners, clubs and researchers, there are private lands in the Park dedicated solely to research and education: Huntington Wildlife Forest, Cranberry lake Biological Station, Shingle Shanty Preserve and Research Station and Paul Smiths College. These are all private lands that have hosted research which has helped mitigate the problems caused by acidic deposition, climate change, invasive species, and conflicts between humans and natural ecosystems. The timber harvesting operations on private lands not only generate jobs and paper and wood products, but by creating openings in the forest canopy have contributed to a diversity of habitats for birds, and more robust habitat for mammals such as deer. Also, today much of the commercial forest land in the Park is covered by conservation easements that require the best forest management practices, protect streams and wildlife habitats, as well as prevent future subdivision and development. Where else in the United State will one find a mosaic of public and private lands that are as well loved, well cared for, home to 130,000 plus permanent residents, visited annually by millions more; and just might be a model for sustainable development for rural wild lands where ever they are found in the United States.